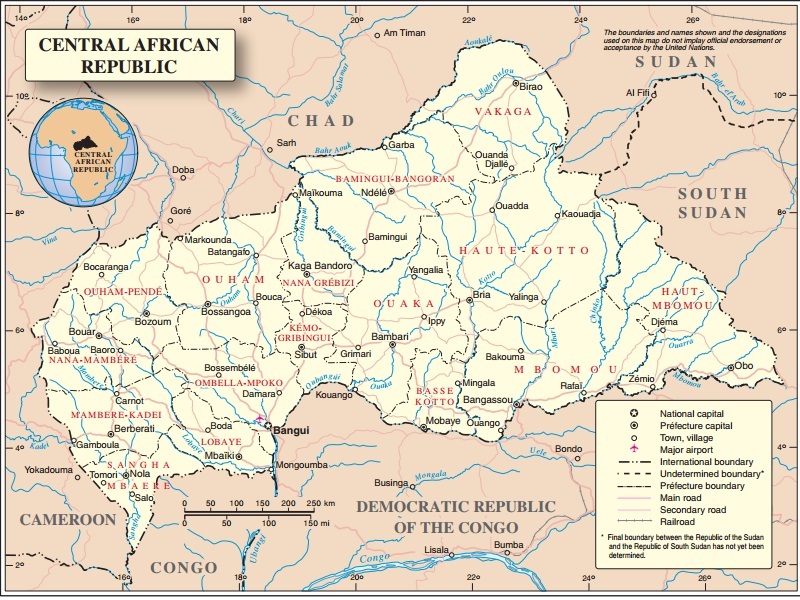 Fighting among ex-Seleka as well as with anti-balaka in central CAR is resulting in human rights abuses and targeted killings along communal lines. The United Nations stabilisation mission (MINUSCA) is facing increased criticism from the government and local leadership, while the national armed forces (FACA) are yet to be trained and deployed in most areas of the country.? Access to essential services is constrained, affected by insecurity, lack of supplies, staff departures, and damage to facilities in conflict. 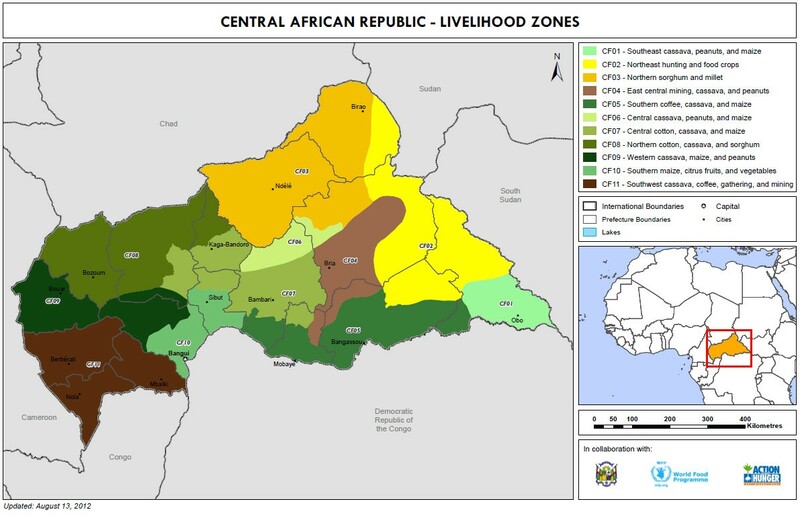 Food security is impacted by the conflict, and livelihoods and market activities disrupted. Most IDPs and some host communities are in need of food assistance.? Massive displacements have also impacted the WASH situation: only half of the population has access to drinkable water and more than 34% practice open defecation, increasing the transmission risk for vector- and water-borne diseases.? INFORM measures CAR's risk of humanitarian crisis and disaster to be very high, at 8.5/10. CAR's vulnerability and lack of coping capacity are of particular concern.? 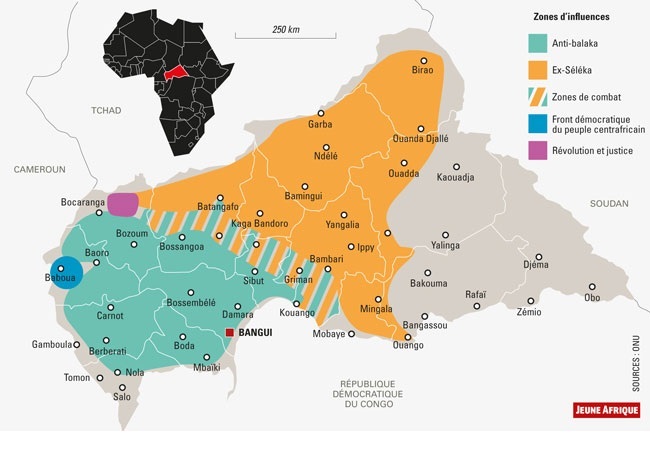 19/03: Fighters responding to the Democratic Front of the Central African People (FDPC), dissatisfied with the implementation of the Peace Process, have blocked the main road leading from Garoua-Boulaï, in Cameroon, to Bangui since 2 March. Trucks transporting goods, including food products, were stopped at the border for almost two weeks, impacting the availability and prices of goods in the local markets. Some trucks were able to reach the capital on 13 March but it is unclear whether traffic was fully restored. Shortly after, an influx of CAR refugees was reported in Garoua-Boulaï by the Cameroon authorities. It is unclear if this influx was related to the road blockade.? Protection: Needs are increasing as attacks on the civilian population become more frequent, with IDPs, host communities and enclaved Muslim communities particularly at risk. Food security: Insecurity prevents farmers from accessing their field. Although information about communities newly displaced or affected by violence is often available, updated information about their situation and needs is frequently inadequate. The limited reporting of certain sectors or sub-sectors by clusters, such as the health cluster or the sub-cluster on GBV and the protection of children, makes it challenging to give a complete picture of the current humanitarian situation.